The Swing Arm Corner allows operators to change the orientation to either a 'leading' or 'trailing' position to increase the number of irrigated acres in part circle applications. ​In certain field configurations the number of additional irrigated acres increases dramatically. The two mini-SAC options provide the perfect opportunity to irrigate additional acres on your field when the Standard SAC and Super SAC go beyond your fence line. The smallest mini-SAC option features a 156' span and 51' end boom and provides 207' of coverage (approx. 297' with end gun). The largest mini-SAC option features a 175' span and 61' end boom and provides 236' of coverage (approx. 326' with end gun). Features a 194' span and 85' end boom and provides 279' of coverage (approx. 370' with end gun). Allows operators to change the orientation to either a 'leading' or 'trailing' position to increase the number of irrigated acres in part circle applications. Features a 213' span and 105' end boom and provides 318' of coverage (approx. 408' with end gun). Allows operators to change the orientation to either a 'leading' or 'trailing' position to increase the number of irrigated acres in part circle applications. With a Reinke SSAC, you can add more acres in fields that are oblong in shape. 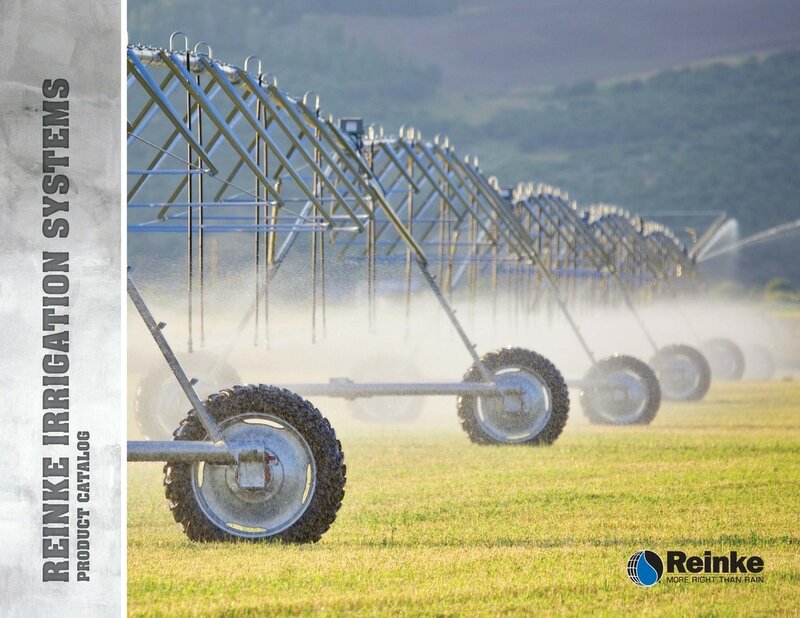 The Reinke Accu-Corner (PLC) technology assures even, accurate water application throughout the corner to minimize over- or under-watering. Provides an additional bank of sprinklers on the swing arm corner to improve application uniformity during the swing arm corner extension. ​ESP - Save hundreds of dollars while utilizing a series of automatic valves that supply additional GPM/acre without increasing your fuel bill. Available on all four swing arm corners. PLC - Use 12 groups of sprinklers and up to 62 programmable stages to ensure accurate water application throughout the corner to minimize over- or under-watering. Available with SAC or SSAC models only. EWP - Increase uniformity and yield by utilizing an additional bank of sprinklers on the swing arm corner. Available on all models.